Our runners are your customers! 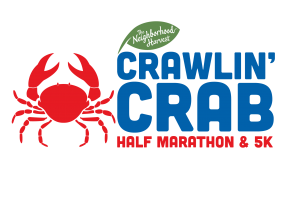 The Crawlin’ Crab Half Marathon and 5K Sports and Fitness Expo is held at the beautiful Hampton Roads Convention Center in Hampton, Virginia on October 5-6, 2018. Our expo promises to provide a great opportunity to promote and market your company’s products and services in Hampton Roads and is well known for showcasing all of the latest trends, design, and advances in running shoes, apparel, nutrition products, injury prevention and more. The expo is held in conjunction with The Neighborhood Harvest Crawlin’ Crab Half Marathon and 5K with an expected 10,000 visitors to this two-day event. The expo will also serve as the pickup location for race numbers and T-shirts for all participants. The expo is open to the general public. Electric, Telephone and Internet use are not included with booth space. Please fill print out these forms, fill them out and fax or email them in.